West Africa Football Academy (WAFA) defender Inusah Adams says they are determined to inflict defeat on Asante Kotoko in the opening fixture of the 2017/18 Ghana Premier League regardless of the venue the match will take place. The 2017/18 Ghana Premier League season was launched at the forecourt of the Ghana Football Association on Monday, and it is set to kick-start on March 3. But the launch was stained by reports that Ghana Premier League broadcast right holders StarTimes have proposed that some matches be moved to the Cape Coast Sports Stadium for the live telecast. 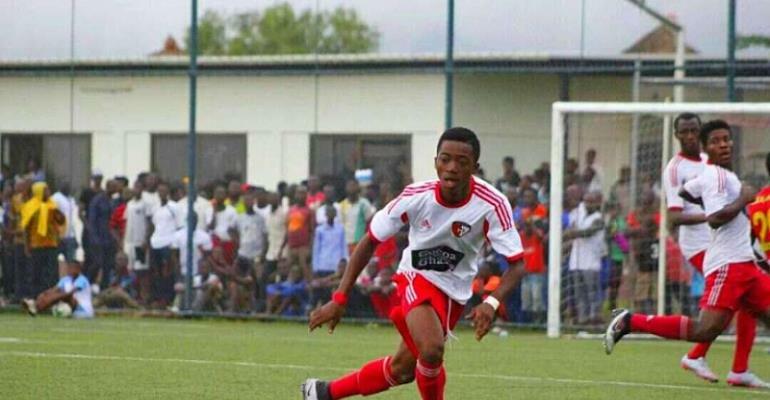 And WAFA, who are accustomed to playing their home games on artificial turf at the Sogakope Red Bulls Arena, could be the first casualty of the proposed television schedule as they will host Asante Kotoko at the Cape Coast Sports Stadium on Sunday. However, WAFA guardsman Inusah Adams says they are well conditioned to perform much better than they did last term hence would want to commence the campaign in fantastic form by beating the Porcupine Warriors even if the match is played at the Cape Coast Sports Stadium. "We had a good season last term but I believe we will have a very good season this term because of how well our off-season went," he told Kumasi based, Ahoto FM. "Even in the absence of some of our players who left to join other clubs, we still have the men to beat Asante Kotoko regardless the venue." The Academy Boys finished 2nd in the GPL standings last season.